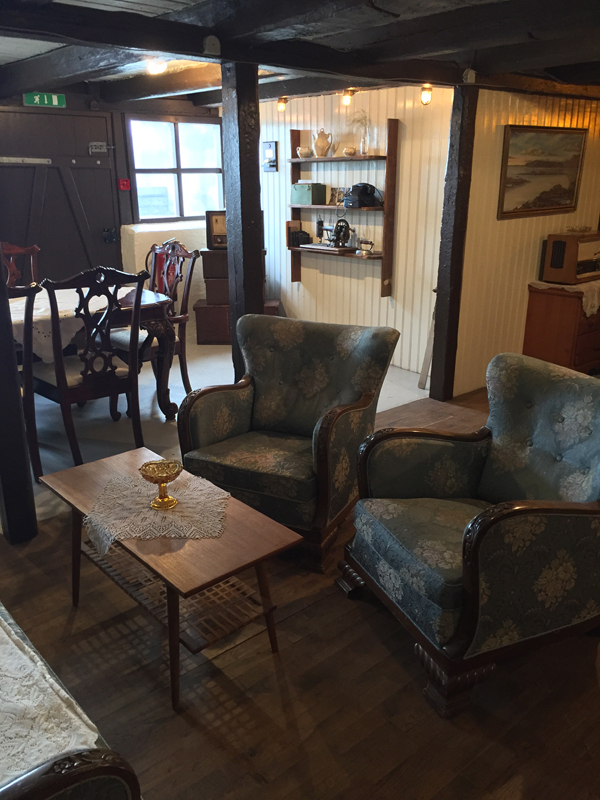 Einarshúsið is in a restored wooden building over a hundred years old. Two of the pioneers of the town lived in this house most part of last century and ran their businesses from there. 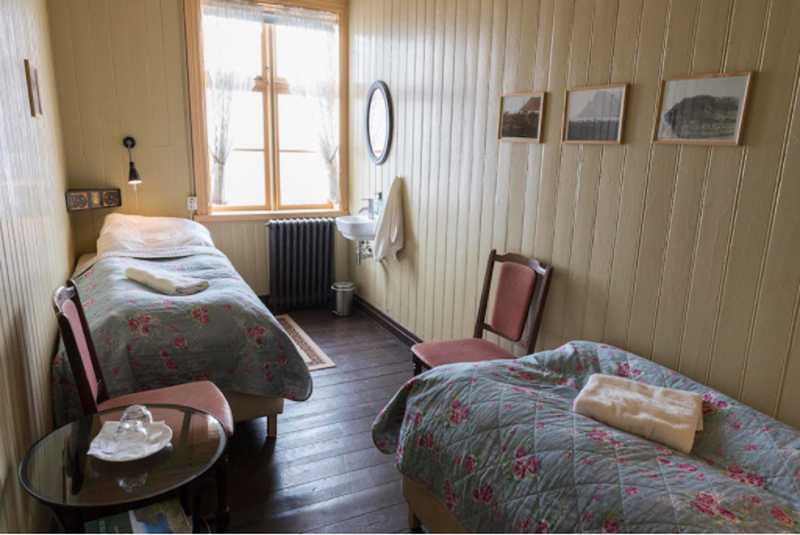 The house was built in 1902 by Pétur Oddsson who lived there until 1930. During that time he came to great grief as he lost most of his family to tuberculosis and other illnesses. He buried his wife, all his children and some other relatives a total of 14 family members over that period. 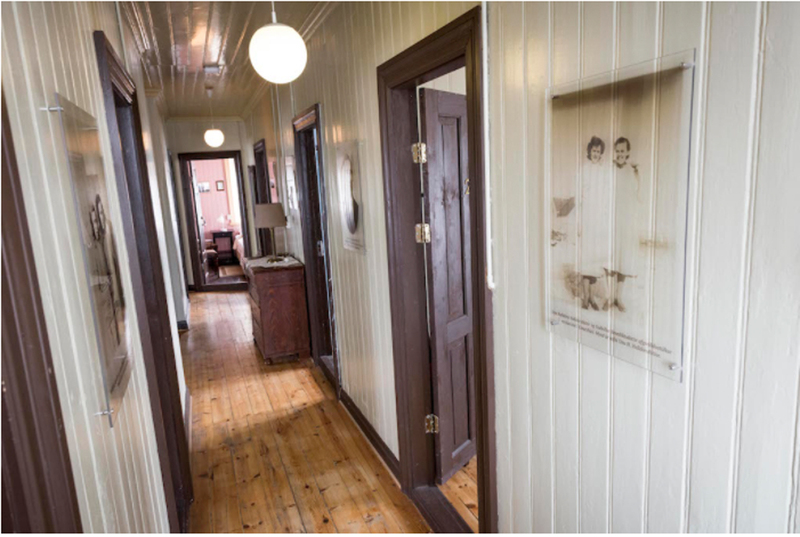 Einar Guðfinnsson moved into the house several years later and lived there a long and prosperous life with his family during the next decades. When previous owners bought the house in 2004 it was in poor state. 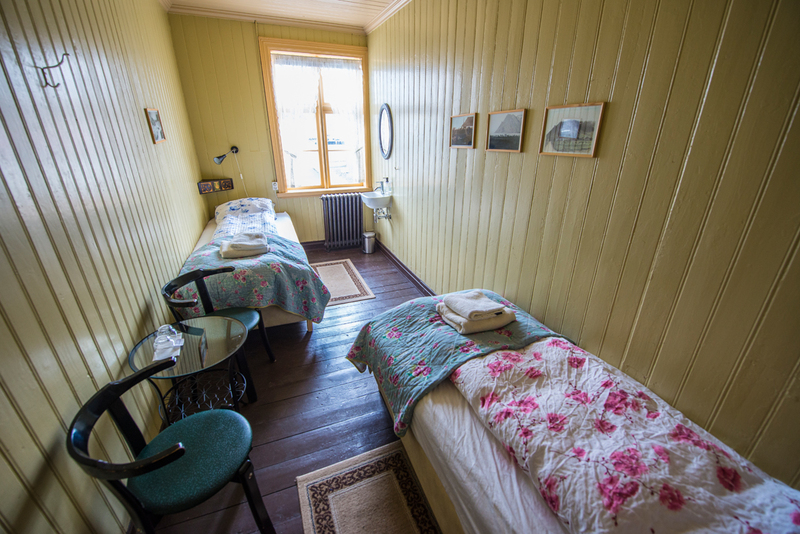 They started renovating and bringing the house to its earlier status as one of the most beautiful houses in Bolungarvík. The current owners bought the house in April 2016. 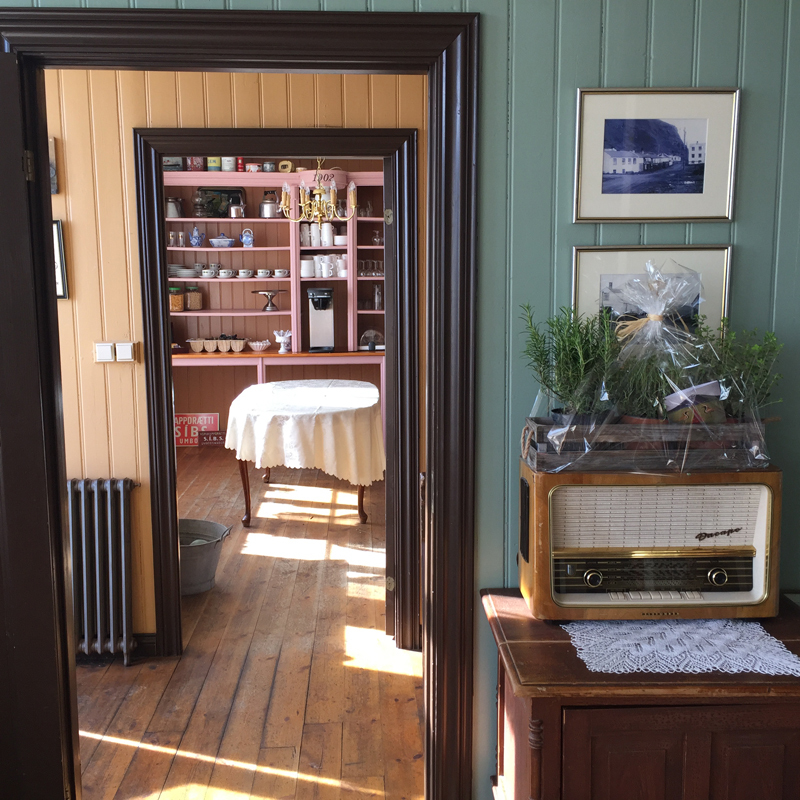 Our aim is to provide the best service possible and authentic Icelandic hospitality. 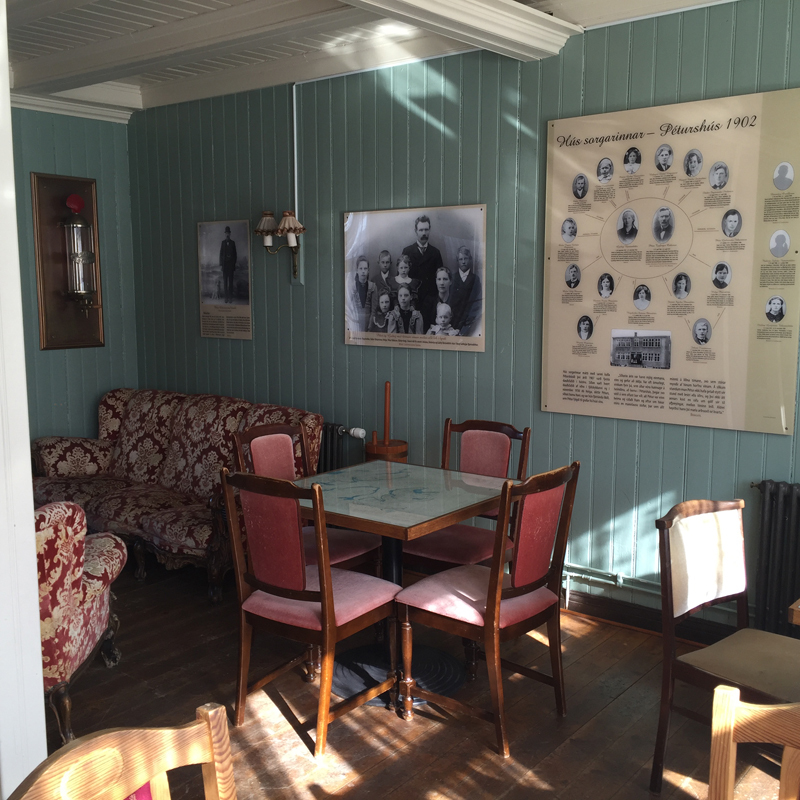 In the restaurant/lounge area there are displays about the history of the house its owners. 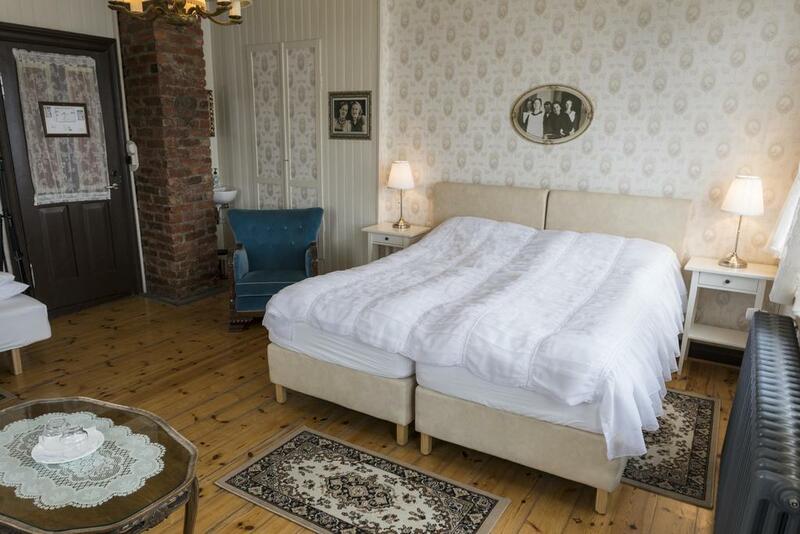 We offer eight rooms, from a spacious suite to lovely rooms for two to three persons. 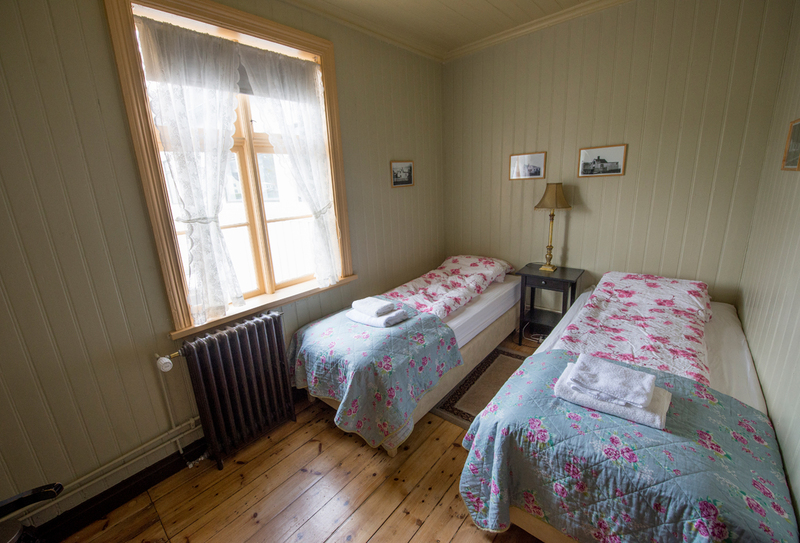 The rooms have either view to the impressive mountains or seaside view over the Ísafjarðardjúp inlet. 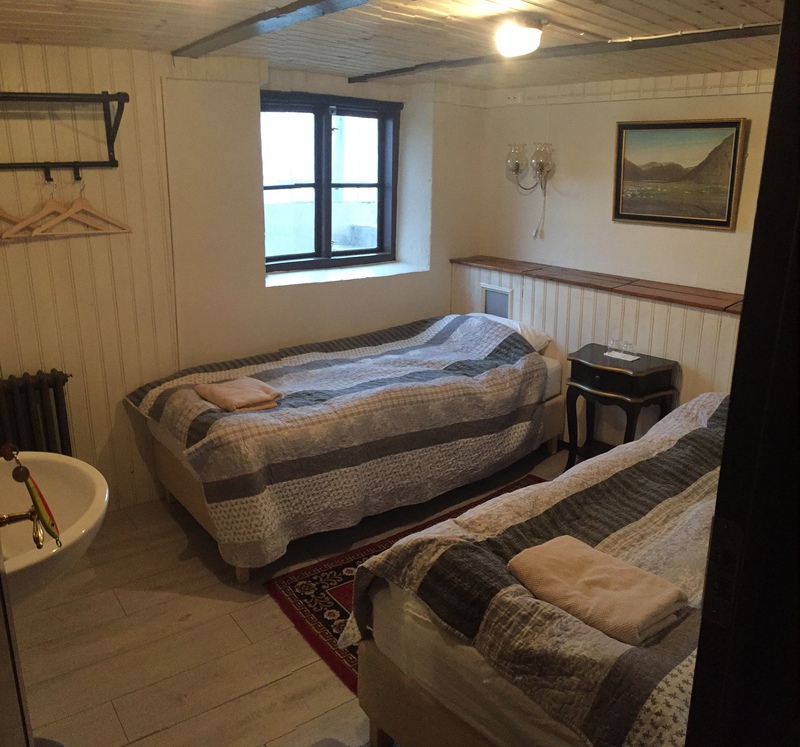 Each room has a sink but other bathroom facilities are shared. Six of the rooms are on second floor and two on the lower ground floor. The suite has a seating area and a balcony. WiFi is free of charge and free parking is available on site. Breakfast is optional for extra charge. 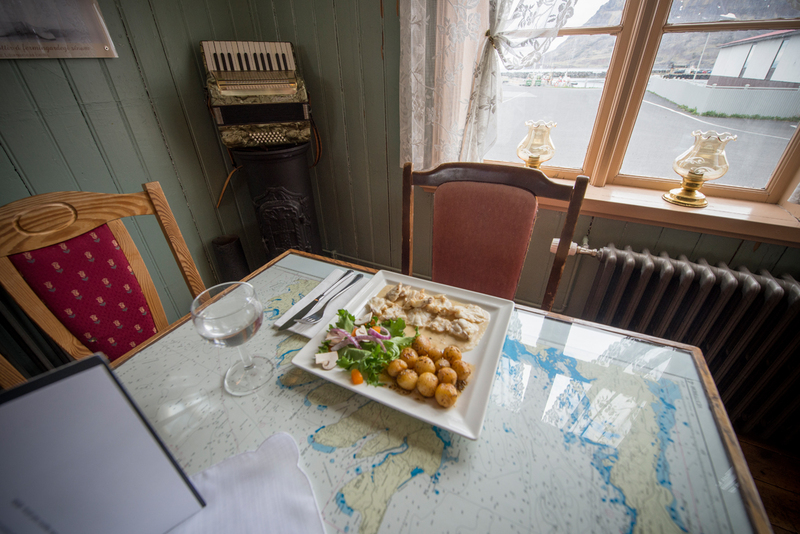 Our restaurant is open daily during the summer but only irregularly during the winter time. 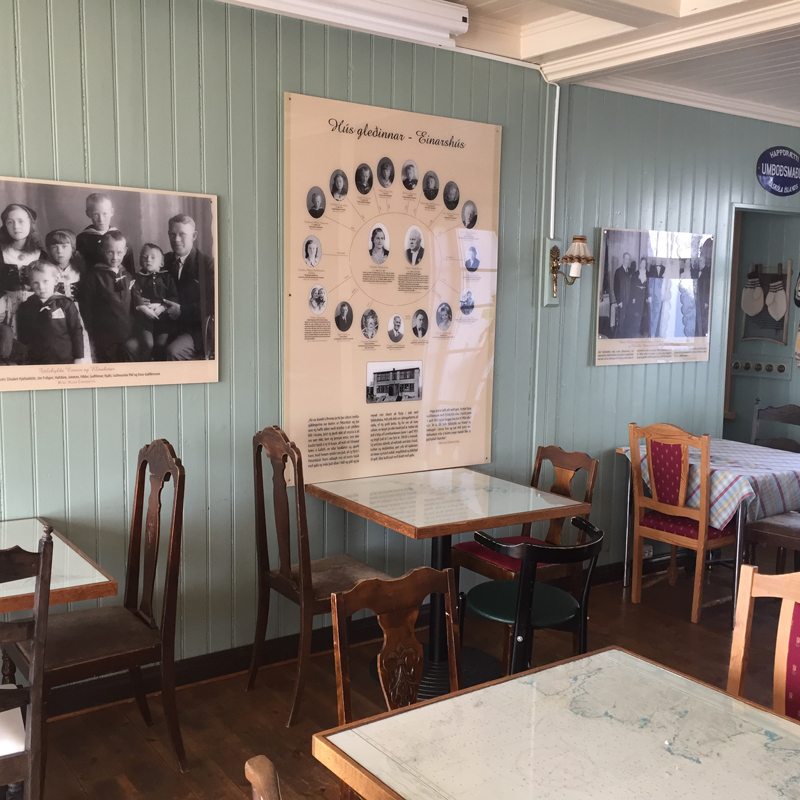 The restaurant specializes in Icelandic seafood dishes. In the evenings we offer a buffet with a variety of fish all catch of the day directly from the harbour across the street. A simple a la carte menu is also available. You can relax and enjoy drinks in the lounge area. 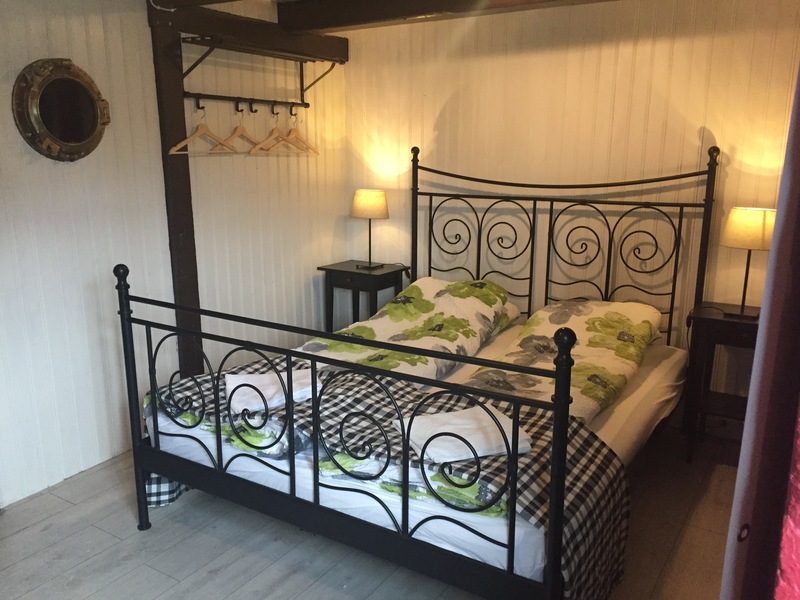 The guesthouse features an outdoor terrace where you can enjoy food and drink on the long Icelandic summer nights. Wonderful place to visit. Historic - food - cosy. 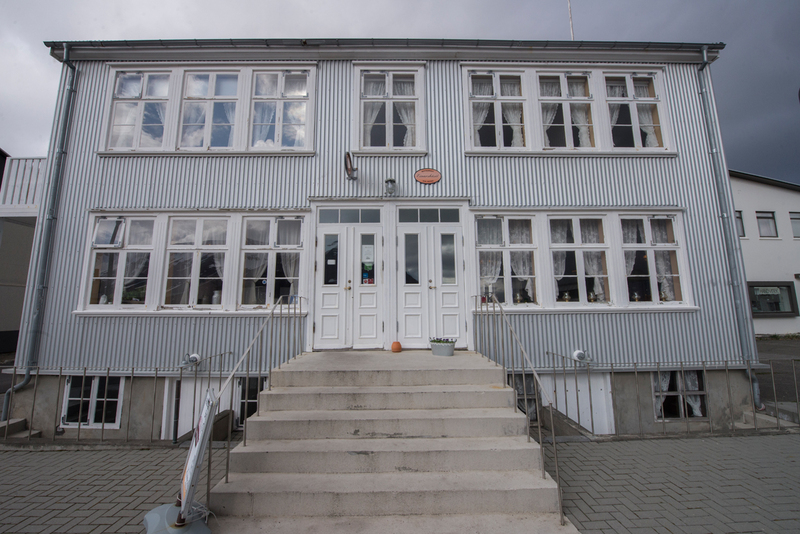 We were a group visiting this place in Bolungarvík. Very interesting house.This house came from Norway in late 18century. The family with 9 children which 8 of them died and their mother of sickness at that time. Pictures of the folks on the walls. We got warm welcome from the staff . 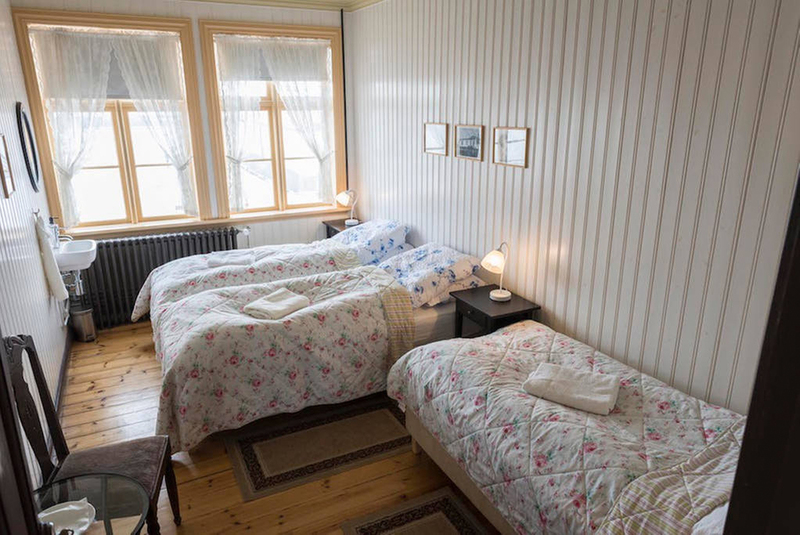 Bolungarvik is situated in a small, quiet town, but this was a great place to stay and worth the drive from Isafjordur. The staff were amazing — welcoming, helpful and pleasant. They made breakfast for us earlier than the normal hour because a couple of us guests had early appointments. The dinner I had after a long day of driving was an amazing, seriously first-class dining experience. I loved the atmosphere and decor of this historic building. 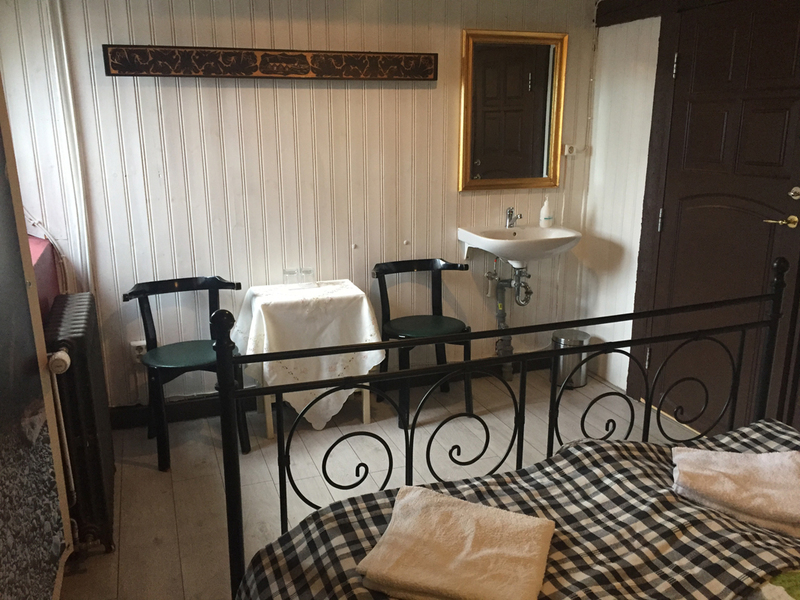 There were no issues whatsoever with sharing the (huge) bathroom and the room itself was very comfortable, with one of the comfiest beds I’ve ever experienced. Also free wi-fi. A very delightful stay. 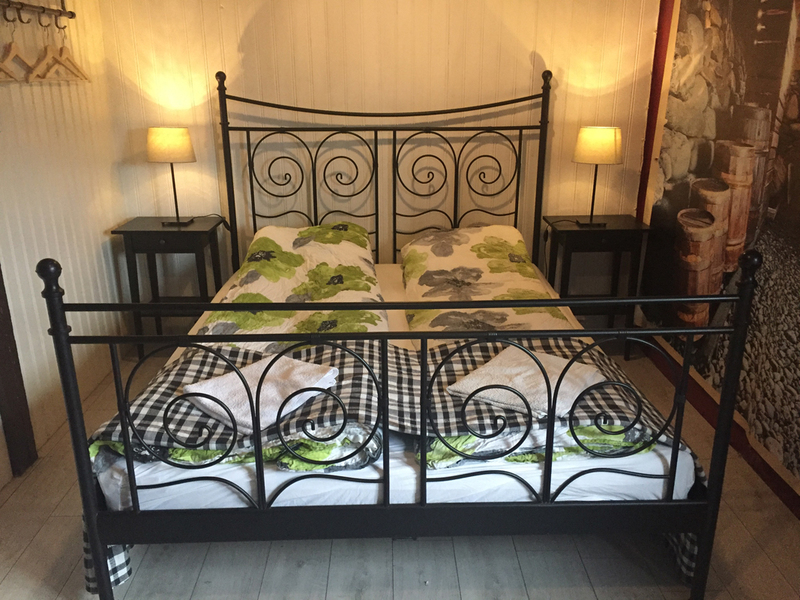 We stayed in this historic house in August 2016 and the room was clean and the beds good. Although the bathrooms are in the corridor there were two of them and we newer had to wait for one of them to be vacant. 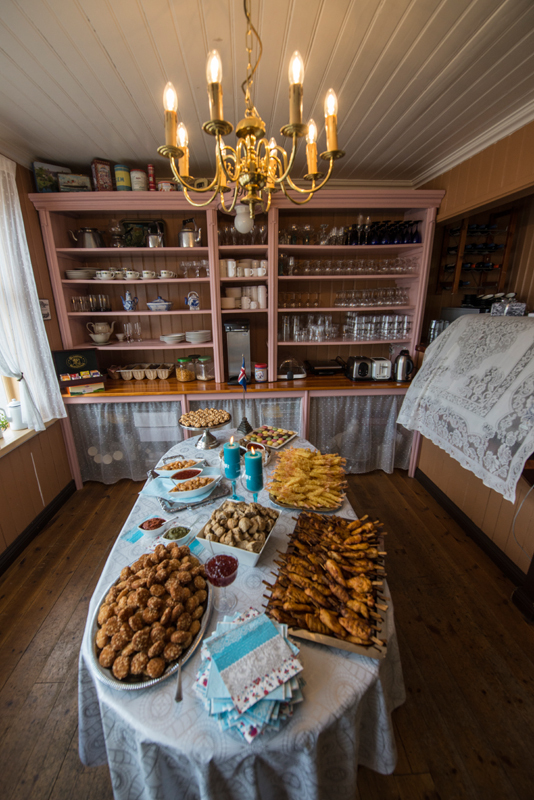 The breakfast was buffet style with a good variety of cold items. We had dinner in the restaurant in the evening and the food was very good and the service to. The owner is there himself to take care of the guests and make you feel at home. He even entertained the guests with singing and playing both on guitar and Harmonika in the evening. Will definitely stay there again and visit the restaurant to. 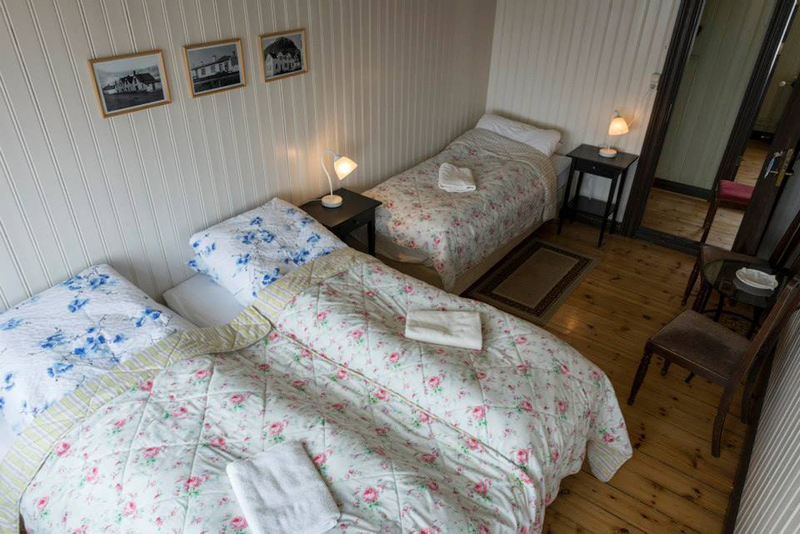 As a guesthouse deserves 5 stars. 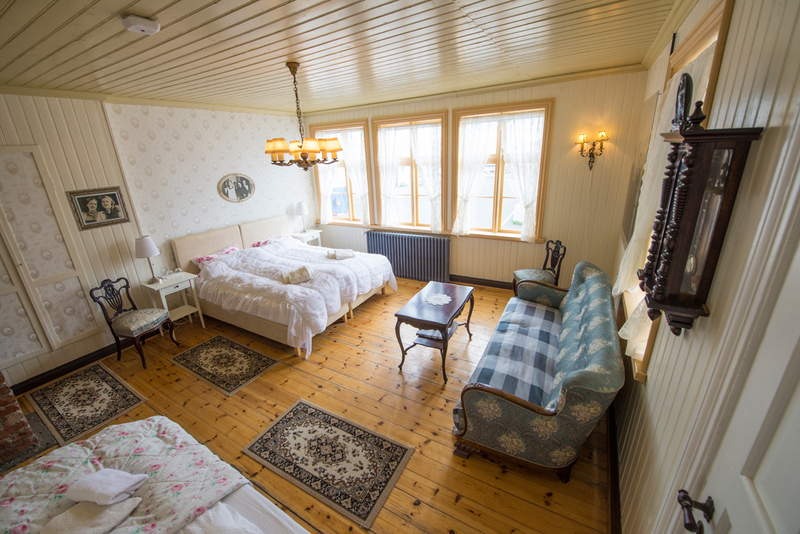 WiFi is free of charge and available in all the rooms an throughout the property. We provide our guests with free parking that is available in front of your hotel. 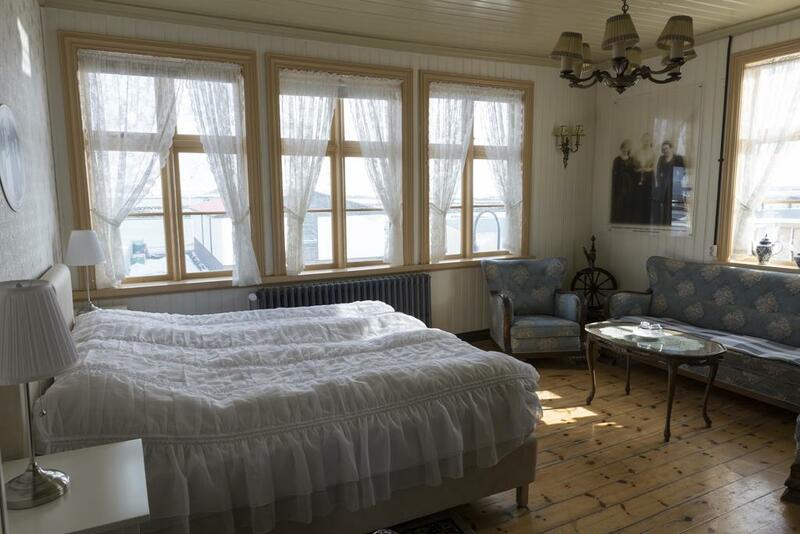 The rooms have either view to the impressive mountains or seaside. 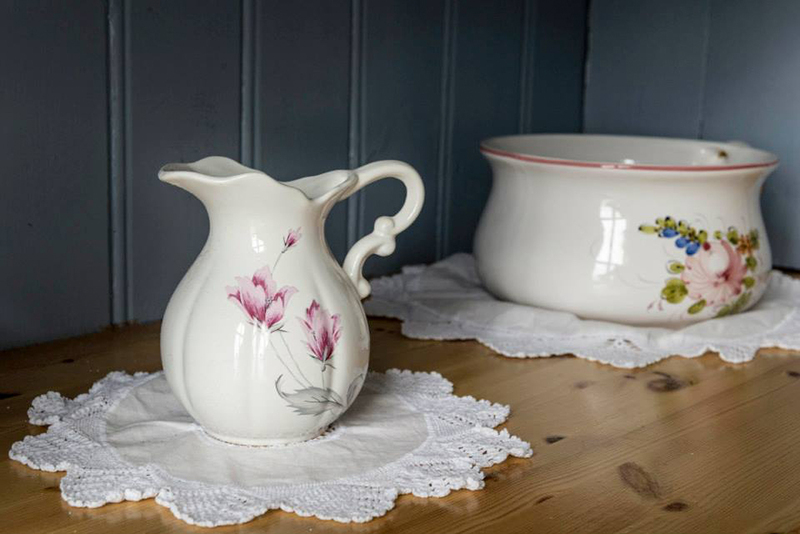 Our small and homely restaurant is open daily during the summer. 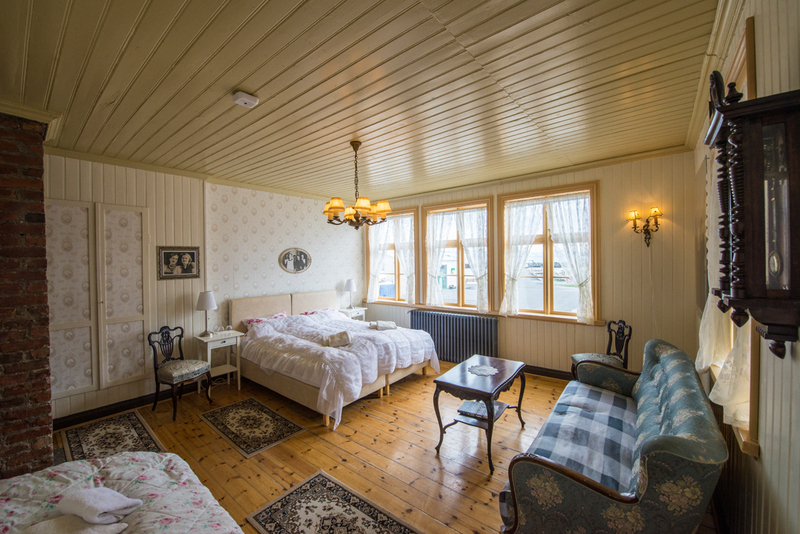 Our aim is to provide excellent service and authentic Icelandic hospitality. Swimming pool within a 2-minute walk and all major amenities within a short distance. Bolungarvík is a small fishing village with about 1000 inhabitants. The village is a good base for trips around north of West Fjords. A 2-minute walk from the guesthouse you will find an indoor swimming pool with outdoor hot tubs and waterslide. This is one of the best swimming pools in West Fjords. Bolungarvík is about 15-minute drive from Ísafjörður, the largest town on the West Fjords peninsula with more varied services. Einarshúsið is located by the fishing harbour, which is lively at daybreak when the boats are leaving to sea and in the afternoon when they return with their catch of fish. 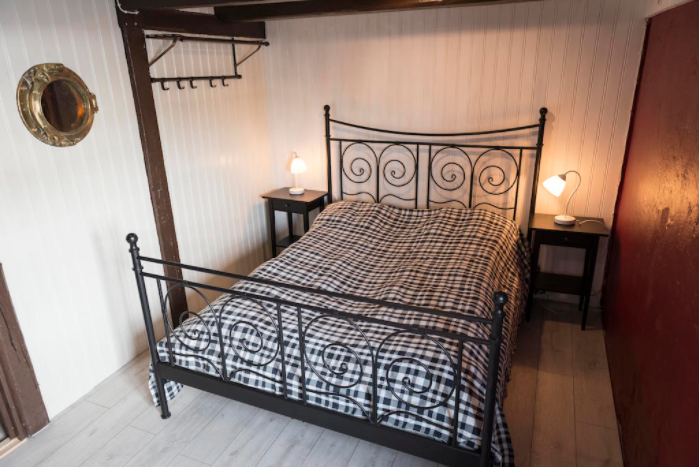 Our aim is to provide the best service possible and authentic Icelandic hospitality. Einarshús 2018 © Allur réttur áskilin. Vefsíða eftir Ferðavefir ehf.